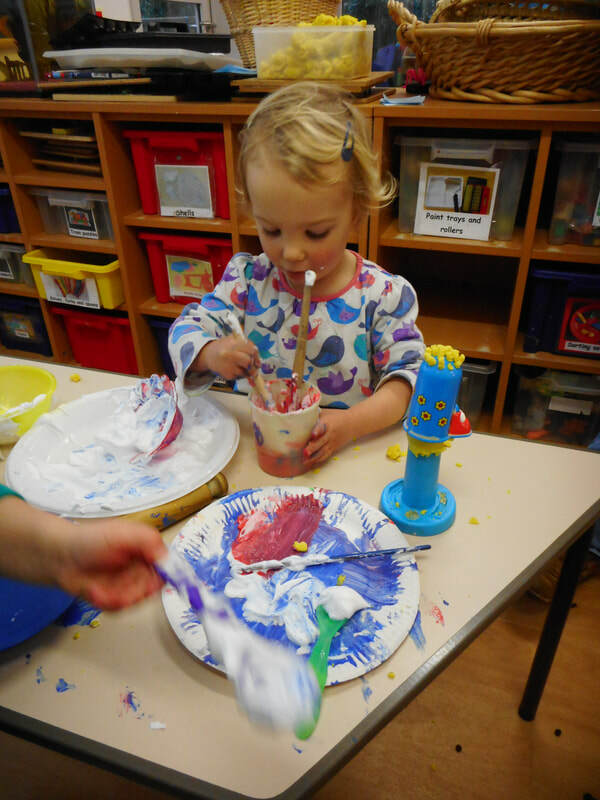 What happens during a pre-school session? 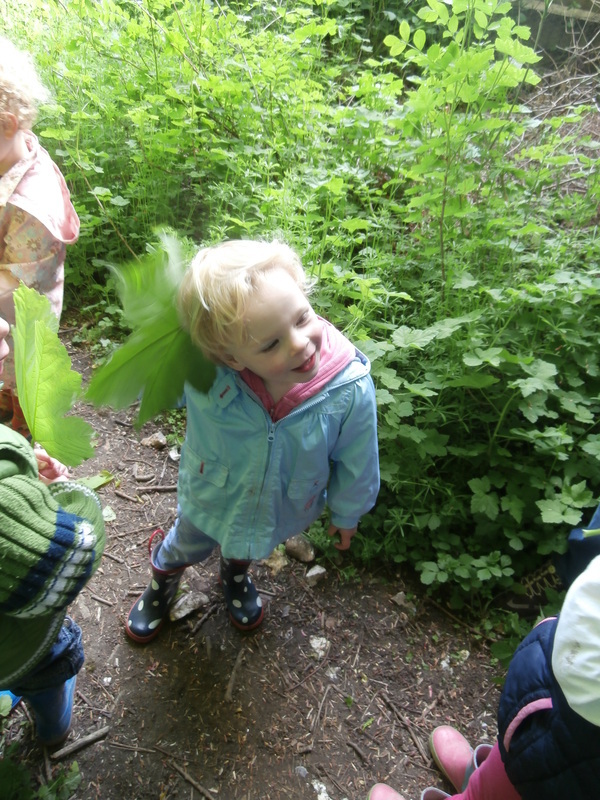 All sessions may have up to 20 children at a variety of ages from 2 years to almost 5 years. For much of the day these age groups are mixed as research shows it is better for children to be in “Family Style” groups rather than the artificial grouping of all one age group together. However, for a short time each day they do spend time in a small grouping called the Key Groups for doing age-appropriate activities. 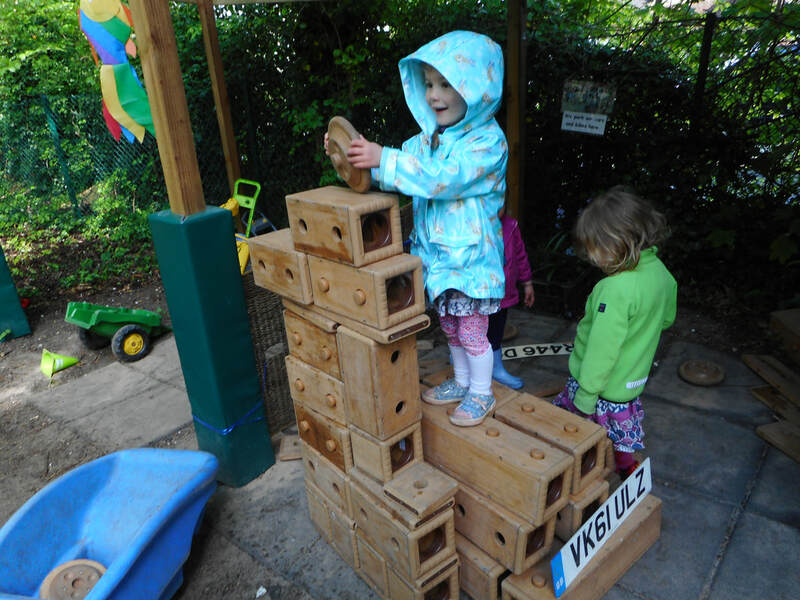 Free play takes place inside the Pre-School and in the garden, where a variety of experiences and toys/interesting objects are set out, according to the children's interests and level of experience. During this time, we observe the children, making written notes and taking photos for their records and to inform the planning of future activities. This helps us get to know them well, and we can plan how best to promote each child's learning and development. 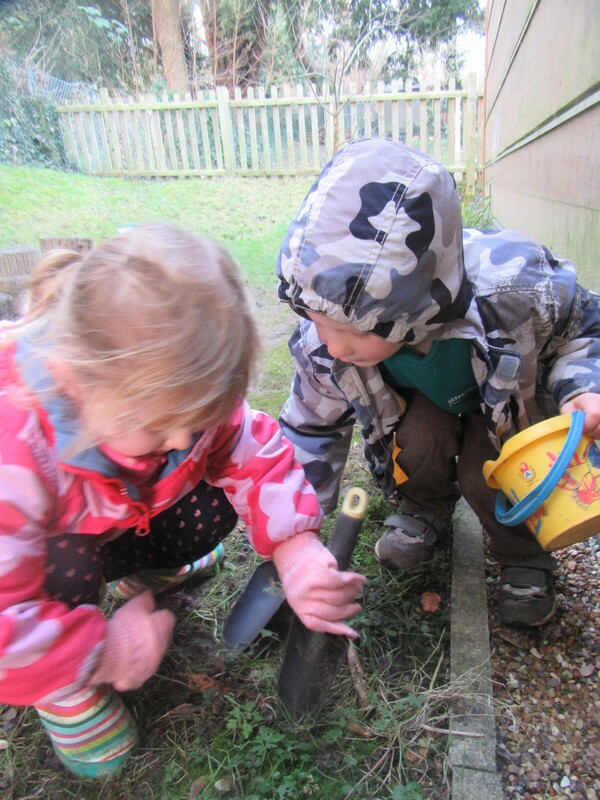 The children may move freely between inside and out - although in cold or wet weather we make sure they put on coats and boots! 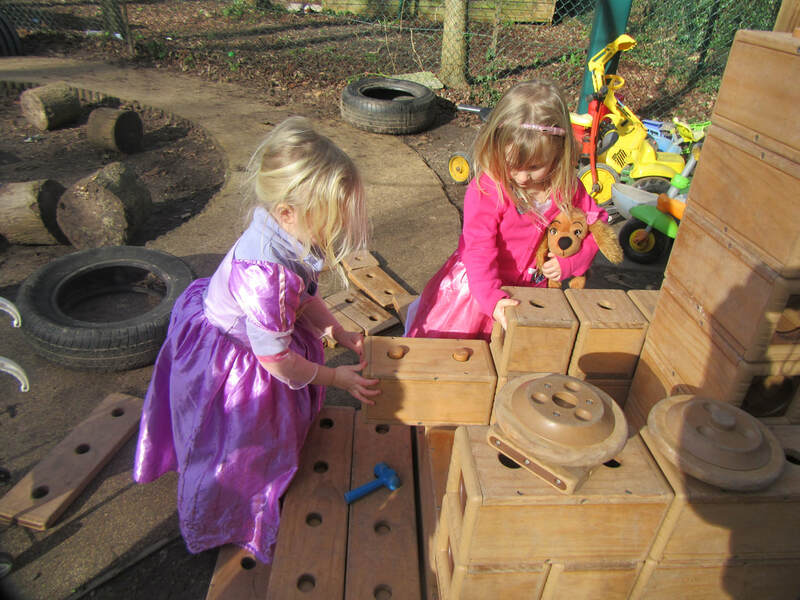 They may choose other toys or activities themselves from our clearly photo labelled boxes and drawers and are encouraged to put things away when they have finished with them. They are encouraged to ask if there is something they would like to do but cannot initiate themselves. We are very lucky to have such beautiful surroundings. 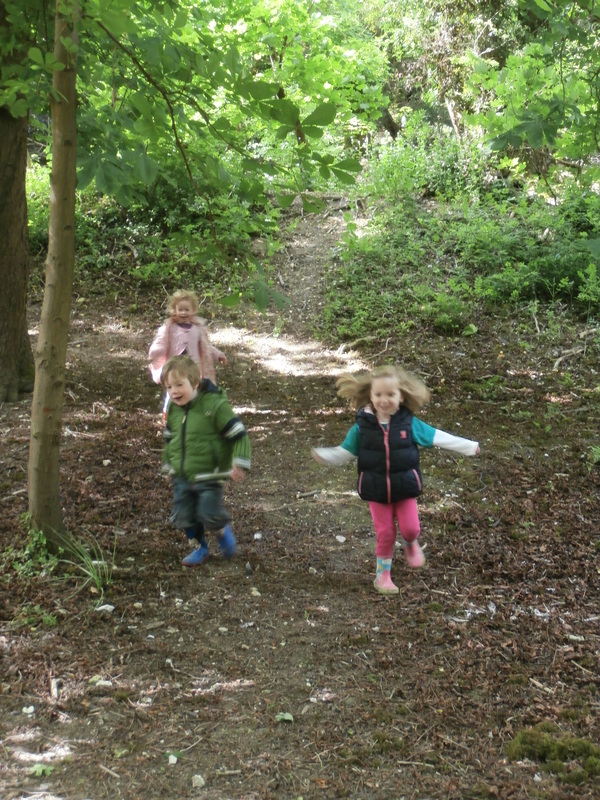 We regularly use the woods next to the pre-school (which are easily accessed through a locked gate on the school drive) for all sorts of adventures! We sometimes go on walks with a purpose, such as to the post box to post Christmas cards! 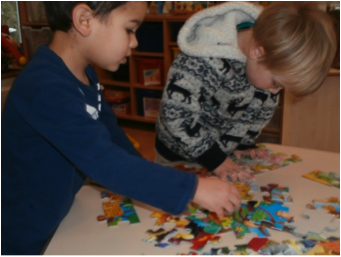 Staff are always nearby to interact and sustain shared thinking with the children, intervening when appropriate to move children/activities on to another phase and make certain that each and every child is included and having positive experiences. For the older children, we operate a “Cafeteria Style” snack time at Streatley Hill. For about an hour during the session children may come to the Snack area and help themselves to a cup and plate, find a seat and choose something to eat from the healthy choice available that day. The younger children are brought to the table as a group, given a drink and offered something to eat. We always make sure children wash their hands before they eat and check that every child is aware when snack is available. Drinking water is always available. 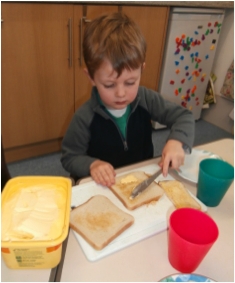 Children are often involved in preparing snack themselves and we sometimes use snack time as a chance to try new foods; they are encouraged to clear away after themselves. 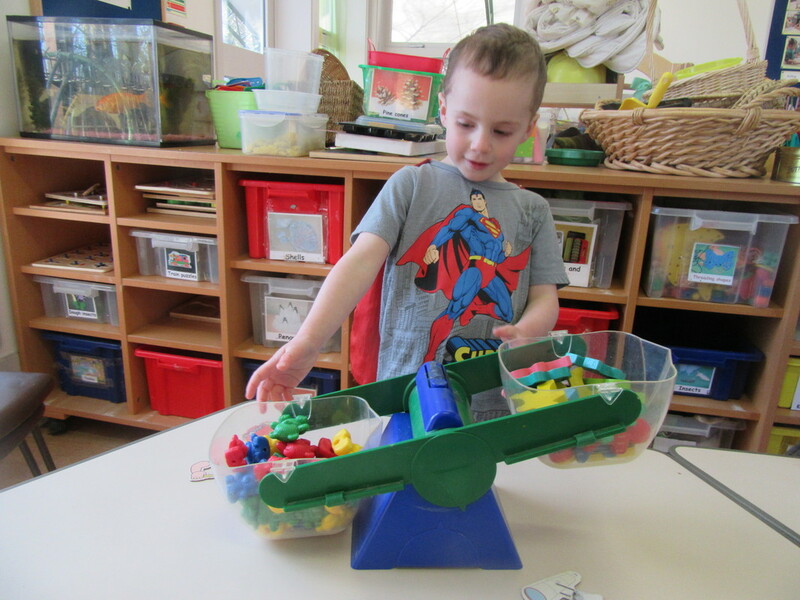 Everyone helps to put things away in a positive way, for example matching toys to boxes, counting or making a game out of it. Children's Learning Journeys at Pre-School are recorded in a folder which a child and their parents can access at any time from the child's tray. These contain observations, photos and pieces of work; the children delight in looking at them, sharing them with an adult and adding to them. This is where we share news, perhaps discuss current themes/topics or look at something some of us have done today. All children have the opportunity to talk or rest if they want to. Shared or group singing or rhymes, sound games or musical instruments. Stories are usually told or read by a member of staff, but parents, grandparents and childminders are invited to come in and read a story at the end of morning or afternoon sessions. Between 12 and 1pm, we have lunchtime, where the children wash their hands and then sit together with other children and staff and eat a packed lunch brought from home. 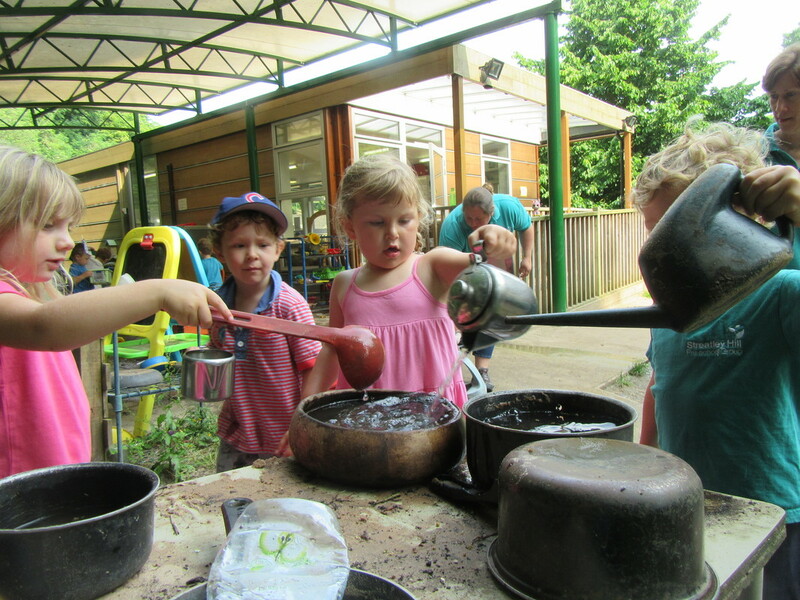 The afternoon session follows a similar format to the morning session but may include walks into the nearby woods, phonics sessions, cookery time, dough gym and visits to the nearby elderly care home. 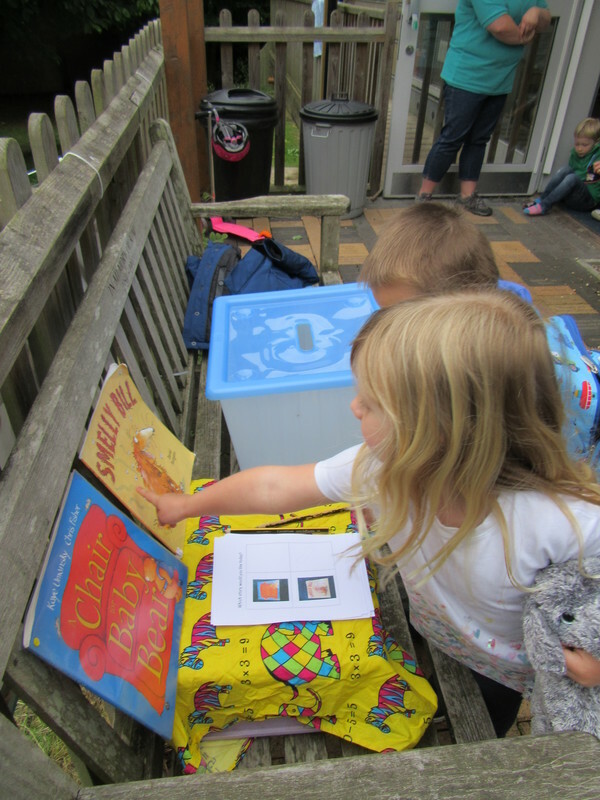 Local volunteers from the Goring Library pop in to read a story or two. And the children enjoy the daily mile with the pupils of the Primary School. As the children get towards the end of their time with us, we begin to offer more group times within the sessions to prepare them for the more structured approach of school. 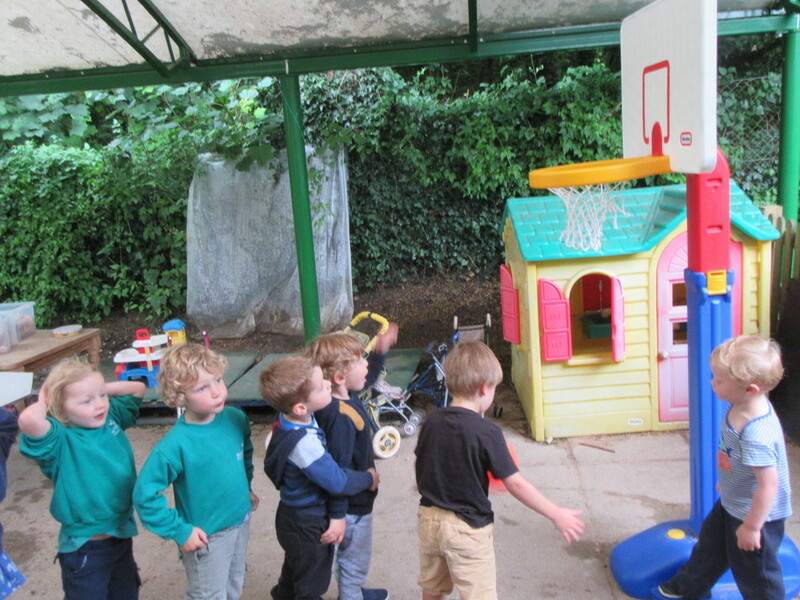 These include extension activities for those children who are ready. 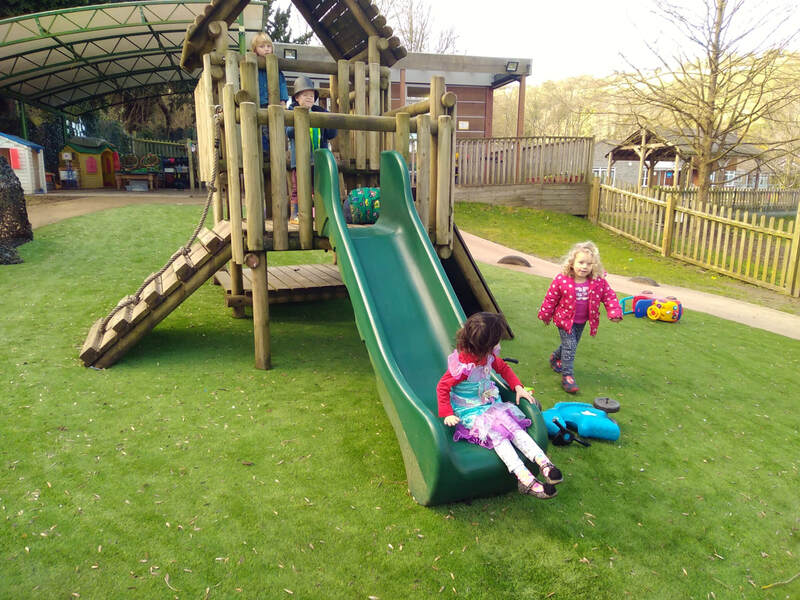 We have an increasing amount of liaison with Streatley Primary School and are visited by staff and children from their Foundation Class and also take the children approaching school age to join them in their classroom and outdoor play area. According to our previous parents, this significantly eases the transition into school. The older children spend time in their new classroom in the primary school and meet the staff. The Foundation Class and teachers come to visit us. Parent/carer collects their child and takes them home. Communications to parents and anything a child may have made to take home will be in their named drawer at this point. A notice board with highlights of the morning will be displayed for parents to view, and the staff will normally be available to speak with any parent.